To cover up this impossibility, the king forces her to play the role of a lost Silver princess, and betroths her to one of his own sons. As Mare is drawn further into the Silver world, she risks everything and uses her new position to help the Scarlet Guard—a growing Red rebellion—even as her heart tugs her in an impossible direction. One wrong move can lead to her death, but in the dangerous game she plays the only certainty is betrayal. This sweeping story of palace intrigue, class hierarchy, and deception will keep readers hurtling along, desperate to find out Mare’s fate. Her honesty and determination, quick wit, and no-holds-barred attitude will surely make readers fall in love with her. As you may have noticed, I’m in kind of a fantasy kick right now, which has been epic, to say the least. I’m obviously very behind the times with The Red Queen, but I’m very glad I did pick it up! I won’t lie, I predicted almost every single plot twist in this novel. Call me cynical, but I always expect betrayal in novels such as this, so it wasn’t too farfetched for me. But, the plot twists were exceptionally well written, and even though I could guess a lot of what was going to happen, I was still captivated. I read this book in less than three hours, and it’s been months since I’ve had that experience with a book. I think that’s a good review in itself. My one complaint is also my one perk for this novel. I could not figure out what the heck was going on in this world. Was it fantasy? Was it dystopian? Everything has nymphs and castles and villages, yet they had freaking TVs and speakers? I wish the atmosphere was clearer here, and I blame that on just lack of worldbuildig. HOWEVER, I did decided towards the end that it was just a funky dystopian fantasy world, and I really really enjoyed that unique twist of genres. 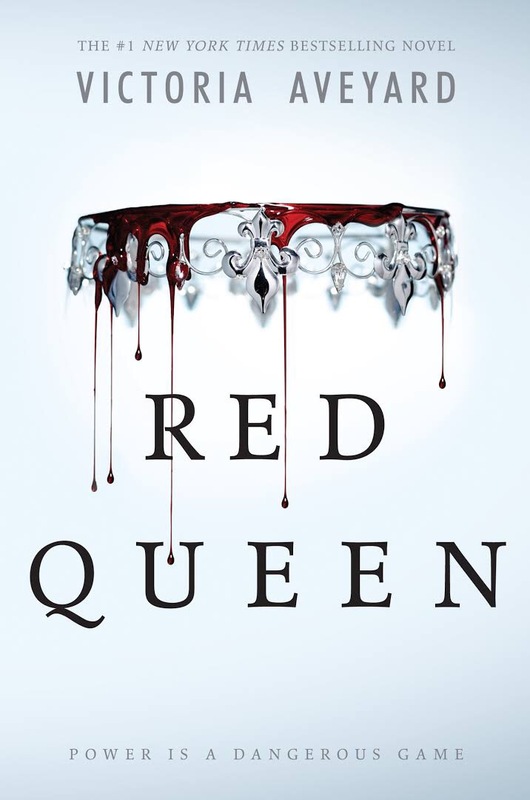 The Red Queen had unique magic, characters, plot, and world building. It really held me captivated, and was a pleasant surprise from the fad filled fantasy genre of YA today. I will definitely be reading the they two novels on this series, and you can expect timely reviews of those in the near future.